Niraj Jivani has been in the restaurant industry for nearly two decades. Growing up, he had an interest in culinary arts that persisted into adulthood. He landed his first job at the age of 13 at a chinese restuarant, since then he never left the industry. Niraj enjoys being able to serve the public at Nirvanis Indian Kitchen where authentic Indian cuisine is the driving force of the business. 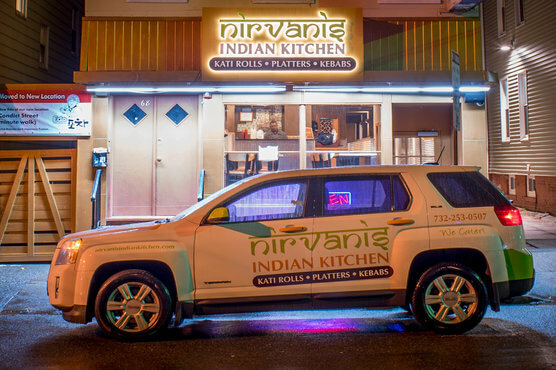 He hopes to provide you with such a positive experience you'll remember to return to Nirvanis Indian Kitchen when you're in need of a great meal. At Nirvanis Indian Kitchen, we specialize in rich, authentic Indian cuisine that will satisfy your cravings. Since our debut in 2008, the concept was a success over night! We've been serving the best kati rolls and platters in New Jersey ever since and have grown to just add to our tantalizing menu to include kebabs, gourment entrees, speciality naan breads, chaats and fusion soups. Our customers can't get enough of our Kati Rolls, and with over 24 different types of rolls, we know we have one you'll love! Our delectable platters, like our Chef's Special Chicken & Rice and Chicken Biryani platters, are generously portioned. With specialty kebabs, falafels, traditional Indian entrees, salads, and more on the menu, we have something for everyone. 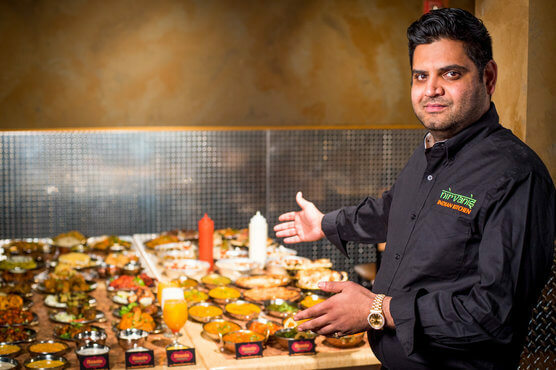 Whether you're looking for lunch, all you can eat lunch buffet, dinner with a special someone or a group of friends or family, or a late night snack, Nirvanis Indian Kitchen looks forward to serving you!